Neighborhoods are empty of residents on September 13th, 2018, in Atlantic Beach, North Carolina. Even as nationally known insurance companies pulled out of the state&apos;s coastal communities, development boomed along the shore, despite the threat from a megastorm like Harvey or Maria. In the face of warnings that climate change was making such storms more common, the state-created "insurer of last resort" has written policies for thousands of coastal properties worth tens of billions of dollars. 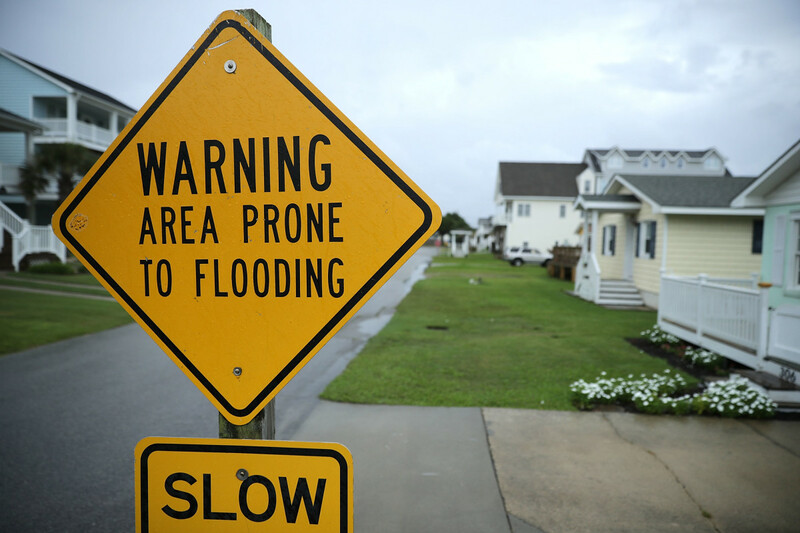 "I hate to say it, but all of us who want to live on the coast, we are living on borrowed time," said David Redwine, a vice president of Coastal Insurance in Shallotte, North Carolina, and a former state representative. "We&apos;ve been lucky, but will we be lucky in the future? There&apos;s no guarantee of that." Today, the Coastal Property Insurance Pool, which was created by North Carolina legislators and is run by a non-profit association of commercial insurers, insures more than three-quarters of all coastal property. As of June, the beach plan, as it&apos;s called, had 198,039 coastal policies representing roughly $74 billion in potential liability. Over the last 12 years, the plan has taken on an additional $20 billion in exposure. North Carolina officials say that is unlikely to happen. They say the plan is prepared to handle billions of dollars in losses, and they also point to historical trends that show the worst storms have occurred inland, and not on the coast. The North Carolina Insurance Underwriting Association, which administers the coastal insurance pool, said it "believes that it is prepared" for a major storm or series of storms. Alvin Ashworth, the association&apos;s assistant general manager, said via email that, based on analysis of multiple weather models, the organization had concluded that the likelihood of a storm disaster big enough to trigger the statewide surcharge was "nearly de minimis," or so low that it that it hardly merited consideration. But climate change has made those patterns less reliable predictors of future weather. Scientists and experts who work with data to predict storm patterns for the insurance industry all say future storms will be stronger and develop faster. Recent research even suggests a "Category 6" may be in the making—the strongest hurricanes are currently rated as Category 5. Hurricane Harvey, which deluged Houston and the Texas coast, is ample evidence of the limits of traditional storm prediction. The storm and the ensuing floods—which had less than a 0.2 percent chance of occurring in a given year and had no historical precedent—caused around $125 billion in damage, including the $19.4 billion in insured losses. 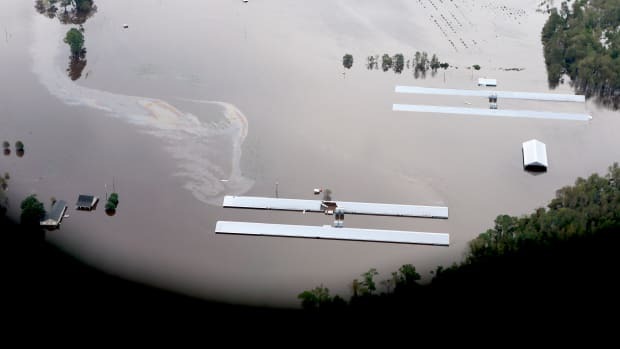 While much of the destruction was caused by flooding, which is covered by a federal insurance program, the scale of the storm was enough to make any state reconsider even the best-funded plans. Harvey&apos;s insured losses were more than five times more than what North Carolina&apos;s coastal plan is currently financially prepared to handle. So if a storm with comparable consequences struck North Carolina, tens of billions of dollars in costs could be spread among every insurance customer in the state for years. "States aren&apos;t intending to mislead people about the risk" said Cynthia McHale, director of insurance at Ceres, a sustainability advocacy group. 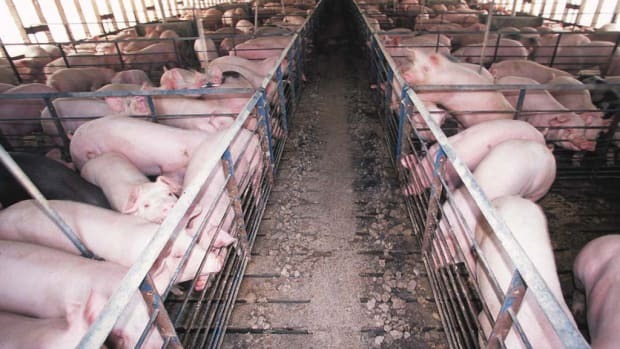 "[But] it does mask the fact that the risks are increasing. The consequence is that action is delayed, people aren&apos;t getting the signal." Florence, the first hurricane to hit North Carolina this season, is massive. The eye of the storm was 28 miles wide as Florence made landfall as a Category 1 hurricane Friday morning. Up to a million people had evacuated from the path of the storm, officials said, and more than 120 shelters were providing refuge for at least 12,000 people across the state. More than 320,000 people were already without power, as weather officials issued dozens of flash flood warnings Thursday evening. The National Hurricane Center, for days, forecasted that Florence would bring "life-threatening" storm surges and "catastrophic" floods. "Today, the threat becomes a reality," Governor Roy Cooper said during a press conference Thursday. "We cannot underestimate this storm." North Carolina is a prime example of how states are pushing aside the difficult task of dealing with climate change by subsidizing insurance and blunting free-market signals that might discourage building new properties along the coast&apos;s most vulnerable areas. Traditionally, residents and businesses would turn to the private market to buy property insurance. But where the market won&apos;t go, state legislatures can step in to fill in the gaps. In 1990, these "markets of last resort" held just $54.7 billion in exposure. By 2011, that jumped to nearly $1 trillion, tracking development and the rise in tax base along with it. 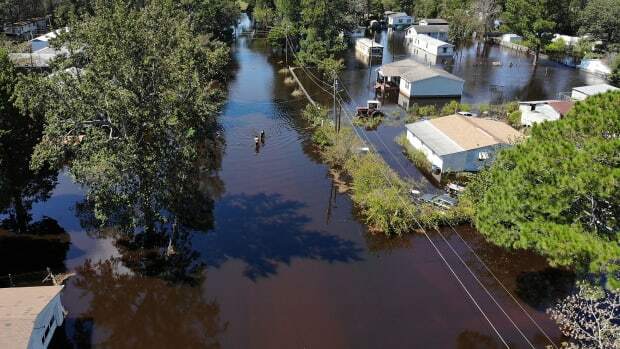 Insurers considered shifting their business away from coastal areas after a series of intense storms battered the Atlantic and Gulf coasts in the early 2000s. There seemed to be no way to predict which storms would become "mega-hurricanes," insurers said, and that rattled an industry that is all about predictability. From Hurricanes Charley, Frances, and Ivan to Katrina in New Orleans, insurers said their risk projections far exceeded what they were permitted to charge in premiums. 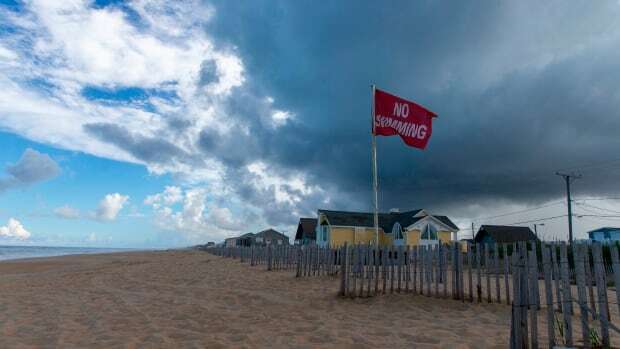 "People who live on the coasts oftentimes believe they should not be subjected to premiums that fully reflect their risk," said Robert Hartwig, former president of the Insurance Information Institute, an industry association. "They believe they should be entitled to some form of subsidy." If officials bend to pressure from real estate developers who want to build in coastal areas, "you end up with states suppressing rates so you can expand swampland or coastal development," said Robert Gordon, senior vice president of policy research at the Property Casualty Insurers Association of America, a lobbying group. States all along the coast insure property some private companies wouldn&apos;t touch. There are plans in Louisiana, New York, Mississippi, Massachusetts, and several other states. In Florida, a perennial target of hurricanes, Citizens Property Insurance Corporation—the state&apos;s insurance pool—saw its insurance liabilities balloon alongside investment in South Beach. By 2012, Citizens insured much of Florida&apos;s coastline, with exposure of $500 billion. "The hope is that the private market would dominate, but ... that&apos;s not how it&apos;s worked out," he said. "The government insurer winds up providing the only policies that people actually buy." "We are just at the front end of discovering what the impacts are when these risks come home to roost," said Rachel Cleetus, lead economist and policy director at the Union of Concerned Scientists. Coastal North Carolina&apos;s vulnerability to hurricanes has long made it an expensive bet for insurers. But as concerns grew about climate change in the early 2000s, the industry sought to self-correct. Allstate and North Carolina Farm Bureau Mutual Insurance shrunk the number of policies they wrote covering wind damage in 2005; State Farm stopped writing new homeowner policies for houses within a mile of the ocean in 2006. By the end of 2008, Farmers Insurance and Encompass Insurance announced they, too, were backing away from the coast. The companies continued to write policies in the state&apos;s interior. Companies blamed the state coastal insurance plan—and the potential uncapped liabilities they faced after a disaster—as reason enough to flee the area. "When we added it up, our executives saw our liability—that we&apos;d be paying double what we collect," a Farmers Insurance spokesman said at the time. In 2009, the legislature put a $1 billion cap on the assessments the plan could collect from its members, and it directed profits from premiums to the plan&apos;s cash reserve to pay for losses, operating expenses, and reinsurance. But legislators also created a mechanism to pass along big bills to the public; property insurance policyholders statewide could be assessed up to 10 percent of their annual premium each year until the claims were settled. The plan bought $1 billion in reinsurance to bolster its finances, and, in total, these measures provided nearly $3 billion in financial protection. Insurers and other experts agree that the changes strengthened the beach plan&apos;s finances. "It didn&apos;t remove the bomb," Wayne Goodwin, former North Carolina insurance commissioner, said. "But it did extend the fuse quite a bit. It bought us some time." Developers flocked to the area, constructing 113,231 new homes between 2000 and 2014, according to Zillow data. Taxable property values—including real estate, vehicles, and other personal property—in the 18 coastal counties grew by $479.6 billion between 2004 and 2016. 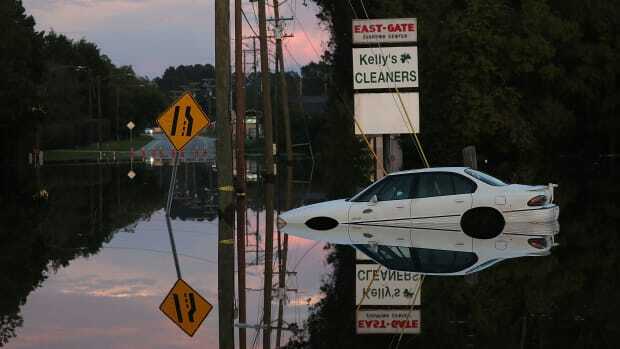 Hurricane Matthew made landfall at the South Carolina border and brought heavy rains and flooding to southeastern North Carolina. It dropped nearly 19 inches of rain in some communities, inundating homes and roads. The state emergency management agency found that Hurricane Matthew caused an estimated $4.8 billion in damage to property, roads, public facilities, and agriculture. Climate scientists, however, say Matthew isn&apos;t representative of North Carolina&apos;s risk. 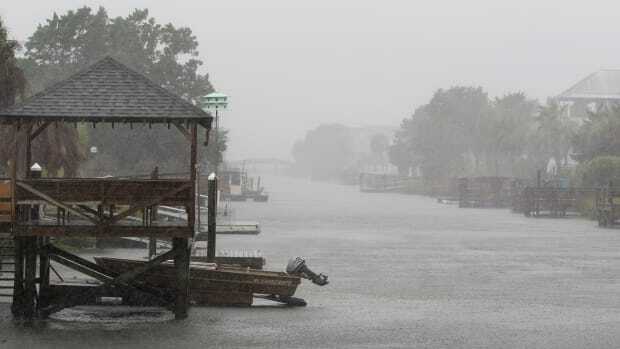 It had weakened considerably by the time it approached the state, and the storm&apos;s eye skirted the Outer Banks. Instead, experts point to two smaller storms—Bertha and Fran—in 1996, which delivered successive blows to the state&apos;s vulnerable coast. Bertha hit the state that July as a Category 2 hurricane, but it quickly lost steam as it crossed the state. Still, the storm brought heavy rains, gusting winds and 10-foot storm surges that eroded beaches along Cape Fear and Cape Lookout. A main road in North Topsail Beach collapsed, and a quarter of the town&apos;s homes lost their roofs. Statewide, more than 400,000 people were left without power. Surveys found the storm destroyed more than 1,100 homes and damaged an additional 4,000. The losses totaled $1.2 billion in North Carolina. At the time, local news reports compared Fran to Hurricane Hazel, the Category 4 storm that struck on the border of the Carolinas in 1954. South Carolina officials told tourists and residents to evacuate for Fran; those who refused "were asked to disclose their next of kin." Fran crossed over Bald Head Island, North Carolina, as a Category 3 hurricane and then meandered north, taking 90 minutes to carve a 35-mile path of destruction from Cape Fear to Wilmington. Fran&apos;s top wind speed whipped at 124 miles per hour. With the storm came a 12-foot storm surge and overwash that destroyed dunes and drowned beaches from Carolina Beach to Wrightsville Beach and Topsail Island in up to eight feet of water. In North Topsail Beach, a double-wide trailer doubling as police headquarters was lost. "Everything that Bertha didn&apos;t get, Fran got from a different direction," the mayor of North Topsail Beach at the time, Marty Bostic, told the Charlotte Observer. The twin impact of Bertha and Fran caused more than $10 billion in damage to North Carolina alone. That matches what both climate scientists and the insurance industry&apos;s modelers say is far more likely in the future as storms become more frequent, and more intense. This post originally appeared on ProPublica as "Potential Insurance Bill From Hurricane Florence Could Take Toll on Wallets Far From North Carolina’s Coast" and is republished here under a Creative Commons license.